STILL TIME TO SIGN UP! QUESTION??? EVERYONE PLAYS! Fundraising opportunities to help pay for your hockey fees, referees, tournament fees, end of year party. 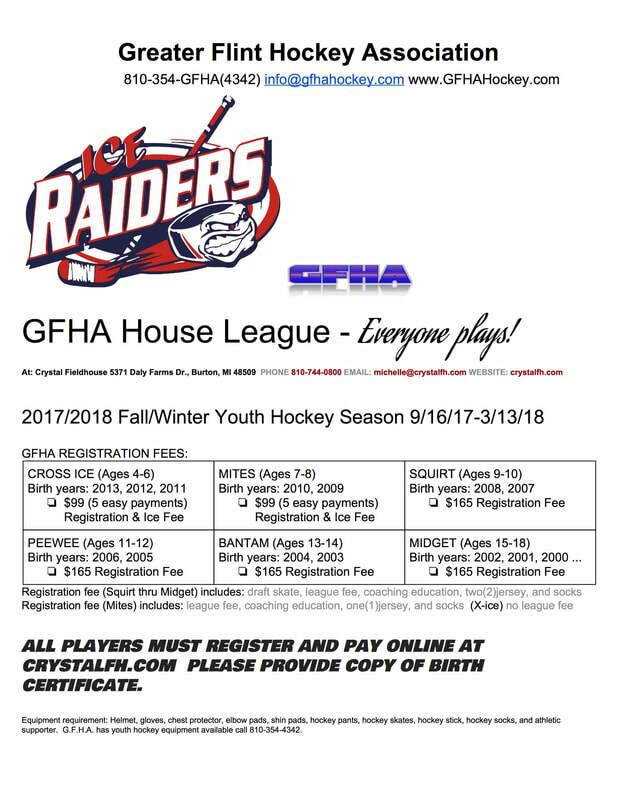 USA Hockey Registration $45 (paid directly to USA HOCKEY) No charge for ages 6 and under. CLICK HERE to print registration form. Register online TODAY! See below Fall schedule for house & travel teams.